This is the first edition of AFLW Insight, a weekly column by AFL.com.au published during the season that we hope takes you beyond the match reports for a deeper look at the game, the broader competition, and those playing, coaching and running it. This week, we look at early trends after a round of matches with the new rules in place, as well as some other observations. And we finish with a fun little fact highlighting the ingenuity of one new Cat. The NAB AFL Women's competition practice matches played across the country on January 19 provided a glimpse into a new style of play likely to be increasingly seen this season. In one game, Brisbane defender Sam Virgo , the savvy veteran returning after some 18 months off following a knee injury, was kicking in from full-back after a behind and spotted the Greater Western Sydney forwards napping. Sprinting from the square, Virgo gained a critical 40m chunk of territory before kicking the ball, which landed in the middle of the ground, clearing the opposition's zone defence. Advantage Lions. With 10 new rules in place – two specific to the AFLW – the opening round of the AFLW season gave us the first opportunity to see their impact in genuine match competition. This change was introduced primarily to decrease the number of secondary stoppages (if the ball went out of bounds again or teams were unable to win a clearance). It automatically brought the ball closer to the corridor, meaning play was a lot more 'dangerous', regardless of whether teams were attacking or defending. During throw-ins inside the 50m arcs, attacking teams had to make sure they were properly set up outside 50, as the ball was so much closer to the corridor and would allow the defending team winning it an easier exit. Brisbane was excellent in these situations when it took on Greater Western Sydney. On a few occasions, the Giants were able to rush the ball out of defence from a throw-in, only to be confronted by the highly disciplined Brisbane defenders, who had pushed up towards the middle of the ground to protect the open space. Kate Lutkins, Leah Kaslar and Shannon Campbell (among others) worked in concert to win the ball and send it straight back into attack. A team with a weaker structure would have fallen victim to the speedy Giants, who were ready to pounce and carry the ball up the ground and away from a dangerous area. This was an amendment to the rule introduced last year, when it applied all over the ground. This season, it applies only in the territory between the 50m arcs. The updated rule had an instant impact, with teams much more willing to kick long inside attacking 50 without fear of the ball being turned over if it went out of bounds. Miskicks that went across the face of goal allowed for a second opportunity at scoring from a throw-in, rather than a free kick to the defending side. Teams had been encouraged to line up using this system last season via the now-infamous memo they received from the AFL after round one. The AFL believed the 5-6-5 formation would promote more attacking football. The system is now formally mandated (and will also apply in the AFL as a 6-6-6 set-up). In the AFLW, full-forwards and full-backs must start in the goalsquare at centre bounces, with four other forwards and defenders inside 50. Wingers must stand on the long side of the centre square (rather than running off the back). There was evidence in last weekend's opening round of matches to suggest teams with weaker midfields would struggle to cope with this formal change. Carlton lost the centre clearance count 8-1 against North Melbourne, with the Roos able to quickly enter forward 50 and apply immense pressure on their opponents. The Roos had 17 shots at goal, the most of any side this round, helped by their strength at centre bounces. Geelong coach Paul Hood predicted the 5-6-5 rule could be the change that provides most impact. "The centre bounces look dangerous. When you get a centre entry, you're really pleased as the coach who has the ball going your way," Hood said after his Cats had beaten Collingwood. "When it goes the other way, you get a little bit nervous. 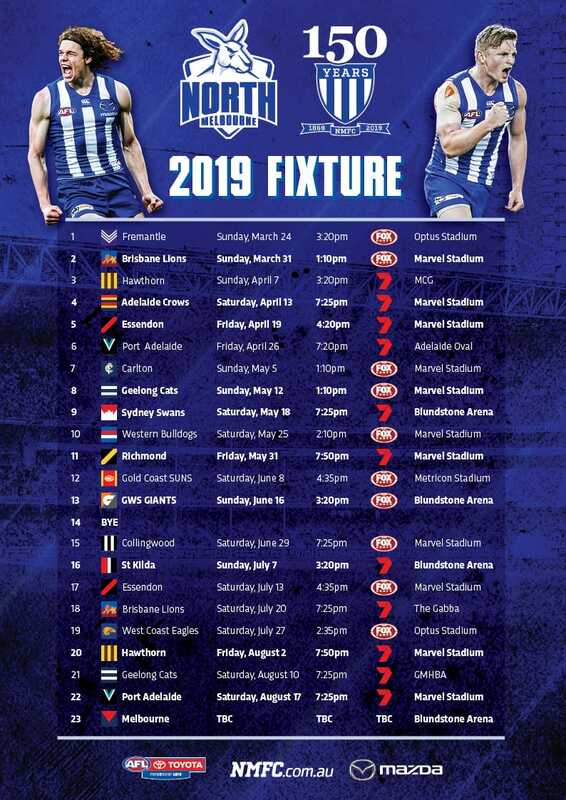 I think that's really exciting for the fans and we'll see that in AFLW and in the (AFL). I think that will be the biggest change, and if it gets everyone on the edge of their seats, that's good for footy." In one of the more noticeable changes, the player on the mark at a kick-in has to stand 10 metres from the top of the goalsquare, while players kicking in no longer have to kick to themselves. As the Virgo example at the start of the column showed, defenders will be eager to move play on as quickly as possible. In the AFLW competition, being allowed extra running space before kicking in means the ball is much more likely to reach or clear the 50m arc. On the weekend, some teams blazed long, punting on greater distance to mitigate potential turnovers. Others had a different approach. The Bulldogs' defensive general, Hannah Scott, encouraged teammates to lead into the space created by having the player on the mark further back, using neat short kicks, which can often be more effective at maintaining control than a thumping kick long. 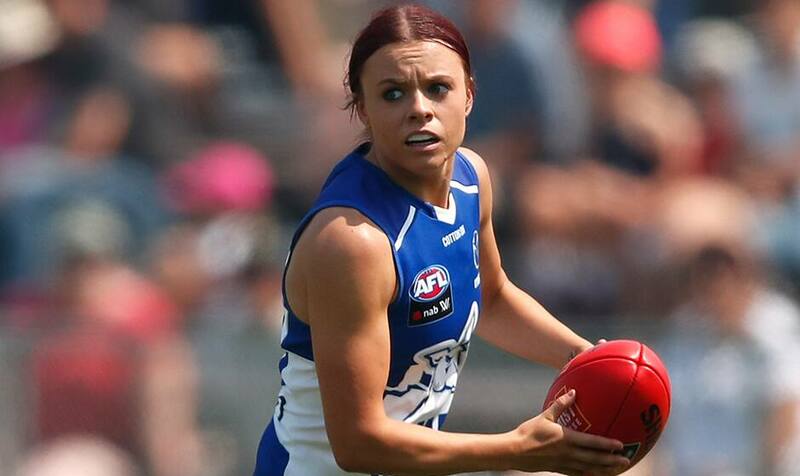 The Western Bulldogs lost a major portion of their engine room with Emma Kearney and Jenna Bruton moving to North Melbourne. Although they got the points against Adelaide, they had only had 10 clearances for the match. By contrast, questions had been asked about Melbourne's midfield without the pregnant Daisy Pearce. And they were comprehensively answered. Karen Paxman and Elise O'Dea were at their usual excellent best, while Lily Mithen had 18 disposals, a significant increase on the 13 she averaged last year. Katherine Smith also spent time in the middle until she was forced back into defence to cover for the injured Shae Sloane (right ACL). Coach Alan McConnell said the Giants "weren't quite smart enough" with their ball use and the stats back it up. They had nearly 30 more disposals but allowed Brisbane 30 inside-50 entries, the most for the round. Young Crows star Ebony Marinoff has previously spoken of her desire to be known for more than her tackling, as it means she is second to the ball. But there's no denying she has a talent for it. Her 11 tackles against the Dogs marked the ninth time in 16 matches she has recorded more than 10. She is also the only AFLW player to record at least 10 tackles and 25 disposals in a single match. Who said rucks weren't sharp? A ruck at her second club has again been canny when choosing her jumper number. Aasta O'Connor wore No.4 at the Western Bulldogs, the same number carried by the club's AFL star Marcus Bontempelli. "Have a look at how many kids wear No. 4 at the Dogs," she said with a smile on Saturday night after her new team Geelong had outlasted Collingwood. O'Connor utilised the same thinking when she moved to the Cats last off-season, picking No.14. The AFL equivalent at the Cats is none other than captain Joel Selwood, only one of the most popular players among youngsters.